Allegory and Enchantment is about the genealogies of modernity, and about the lingering power of some of the cultural forms against which modernity defines itself: religion, magic, the sacramental, the medieval. 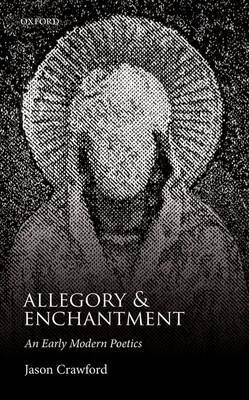 Jason Crawford explores the emergence of modernity by investigating the early modern poetics of allegorical narrative, a literary form that many modern writers have taken to be paradigmatically medieval. He investigates how allegory is intimately linked with a self-conscious modernity, and with what many commentators have, in the last century, called 'the disenchantment of the world', in four of the most substantial allegorical narratives produced in early modern England: William Langland's Piers Plowman, John Skelton's The Bowge of Courte, Edmund Spenser's The Faerie Queene, and John Bunyan's The Pilgrim's Progress.